Planning a trip between April 1 and June 27th 2019 and your flight is leaving from Québec City Jean Lesage International Airport between Sunday and Thursday? Looking for a place to park your car during your trip? 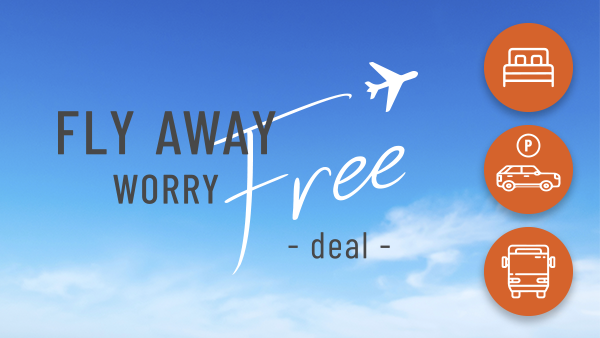 Hotel Must’s new Fly Away Worry Free deal is tailor-made for you! By booking this deal, you only pay for your room. In addition, enjoy FREE PARKING for your car for up to 14 days in the hotel’s outdoor parking lot, one FREE ROUND TRIP SHUTTLE service between Hotel Must and the airport, as well as FREE CONTINENTAL BREAKFAST *!